FRIDAY, Dec. 21, 2018 (HealthDay News) -- Who doesn't crave a big bowl of spaghetti every now and then? But then comes the question of how to fit it into a smart diet plan. The answer is portion control. 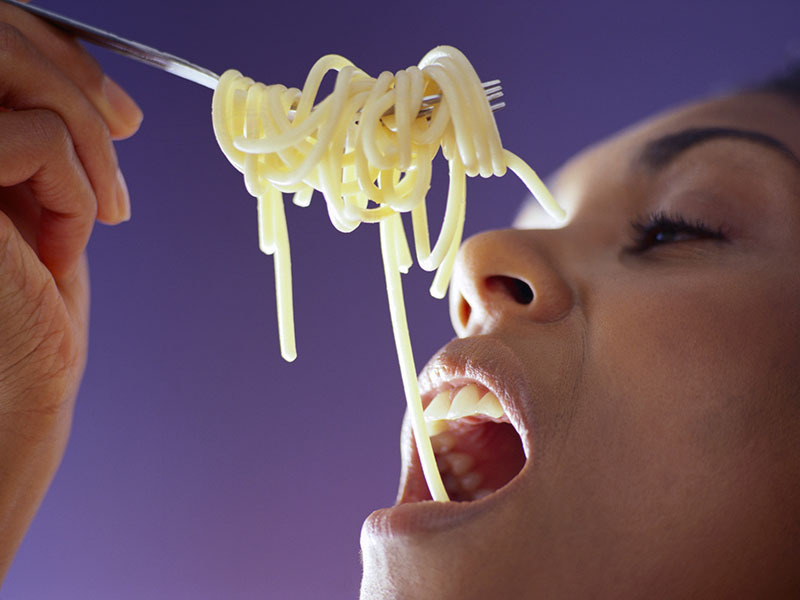 On average, one cup of cooked pasta has between 180 and 220 calories. But that number can change depending on how long you cook it: The more water it absorbs, the fewer calories it has by measure. Also, it's very likely that you're putting far more than one cup of pasta in your dinner bowl, and a near certainty that restaurant portions are up to three times the size of that suggested serving. The key rule, home and away, is to keep pasta dishes light. Skip sauces made with butter, cream and heavy amounts of cheese in favor of tomato sauces. Cherry tomato halves, chopped herbs and a drizzle of olive oil are smart options. If you have more time, add steamed vegetables like broccoli. Another way to stretch a pasta portion is to add an equal amount of vegetable spirals made with the kitchen tool called a spiralizer. Carrots, zucchini and summer squash are low-calorie options to try. You can still get tangy cheese flavor by sprinkling one tablespoon of grated Parmesan on your pasta dish. It has just 22 calories and, by adding it after your dish is fully prepared, its flavor won't get lost among the other ingredients.